Published in the Shortlist section of the Sydney Morning Herald, March 21. From their debut long-player, Up From Below, released in 2009, it took the oft-time 12-piece to the top of the indie folk/rock pile. The difference between them and many others who’ve been propelled to the lofty heights of international stardom with a single number however, is that they’ve not faded away; one-hit-wonders they ain’t. What’s followed has been a study in solid growth. “[That] first album has some really interesting stuff, but [wasn’t] really quite as sure of itself,” says frontman Alex Ebert. “Production-wise, and songwriting-wise, [2013’s self-titled effort] is the most adventurous stuff we’ve ever done. 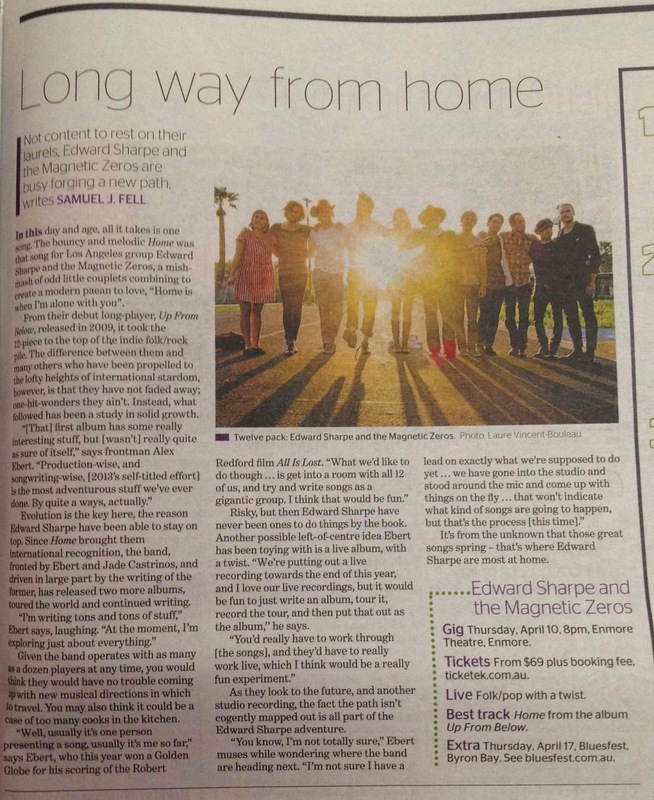 By quite a ways, actually.” Evolution is the key here, the reason Edward Sharpe have been able to stay on top. The band, fronted by Ebert and Jade Castrinos, and driven in large part by the writing of the former, has, since Home brought them to international recognition, released two more albums, toured the world, including Australia a number of times, and continued writing. Given the band operates with as many as a dozen players at any one time, you’d think they’d have no trouble continually coming up with new musical directions in which to travel. You’d think as well, that it could be a case of ‘too many cooks’. Risky, but then Edward Sharpe have never been ones to do things by the book. Another possible left-of-centre idea Ebert has been toying with is a live album, with a twist. “We’re putting out a live recording towards the end of this year, and I love our live recordings, but it would be fun to just write an album, tour it, record the tour, and then put that out as the album. 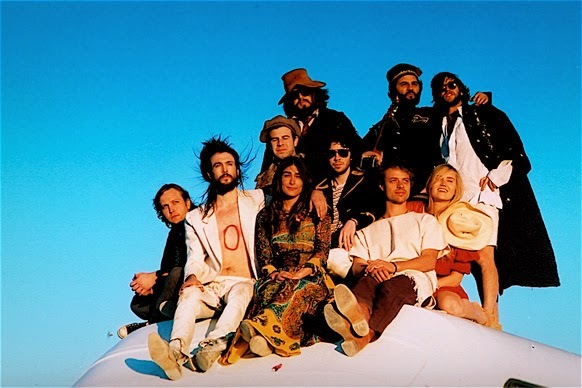 It’s from the unknown that those great songs spring – that’s where Edward Sharpe are most at home.